FIM272 Men’s full side scooter had a very clean look and the typical mandarin scooter motorcycle collar. The stretch side panel look mean and leans. This FIM272 needs a second look because it fits all body types. 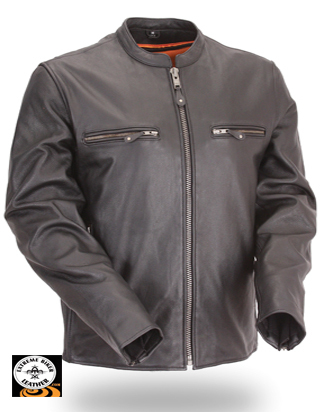 Click the button below to add the The Promoter FIM272CFDZ Men's Leather Motorcycle Jacket | First Manufacturing to your wish list.